Spring has sprung!! Well, according to the calendar anyway…and that means that the sun, warm breezes and blue skies are on the way. Yay…I’ve survived another winter and won’t die of S.A.D after all!!! [laughs] Anyway, you don’t read this Newsletter to listen to me get all melodramatic [grin] so let’s get on with some e-learning resources, information and tools. DO YOU SOMETIMES FORGET TO PICK UP THE MILK? Moodle has been rather ‘flavour of the month’ recently, what with the SA Moodle Meet-Up happening recently…if you couldn’t make the conference, you can catch up via this report from KerryJ from Brightcookie.com, and all the presentation links and photos are on the front of the site. But what if you’re just starting out in Moodle? First up I would have to mention the upcoming workshops from e-Skills which include a Getting Started with Moodle workshop. You might also find the Teacher Training Videos useful as an introduction, as they explain the basics… or Two Minute Moodles which are a series of instructional videos. If you’re a bit further along, the Non-standard Moodle might be worth checking out to see some demos of what can be done, or perhaps give the Book Module a try with Creating a Book. And did you know there is a brand new Moodle User Group that has started up here in SA? It’s easy to join and they’d love to have you as part of the community. Well, I think so. I use them for all sorts of reasons, particularly Wikispaces. Recently I was asked to do a presentation and was given a long list of questions….which I promptly turned into a wiki called E-learning Questions. It covers many of the random but important questions that I am often asked such as e-learning and ROI, how to use social media, how to create an e-learning strategy…and more. I just gotta write something about e-books, as the topic is coming up more and more! It seems this is a really happening trend and I don’t think it will go away. The article New Thriller Sells More E-Books Than Hardcovers reports “What we’re seeing now is that if a book gets a good review, it gets a faster lift on the digital side than it does on the physical side because people who have e-readers can buy and read it immediately.” Kerrie Smith from Education Services Australia agrees, and writes in her blog posting E-book Essentials for Educators, “A recent online forum that I led for over a week has brought me to the conclusion that the most essential thing for educators and educational librarians is to get some experience in using e-book readers and reading e-books.” Quite interesting when you compare it to the 2007 blog posting Why e-books are bound to fail [chuckles to herself]. A new e-book reader called Blio might create some waves in this area….but if you’re tossing up between a Kindle and an iPad, you might want to read Kindle vs. iPad: Which is better for reading a book? It doesn’t matter if you look at it from the personal perspective…or the corporate….or the educational, it seems that Twitter is also something that is here to stay. In What Twitter has done for me, the writer (a teacher) says “Twitter has opened me up to a world (and I do mean WORLD) of teachers who are are doing some of the same things as I am…” From a corporate viewpoint, it’s still positive but it’s worth considering exactly who should be communicating online about your company – Why More of Your Employees Should Be On Twitter, Facebook and LinkedIn. If you’ve toyed with the idea of incorporating Twitter into your teaching….perhaps because you have young, tech-savvy learners who might be easy to engage using this methodology….then check out A Framework for Teaching with Twitter. HOW TO DO….PRETTY MUCH EVERYTHING! Ever wanted to know how to night fish…or pick a tattoo parlour….or like beer? No? [laughs] OK…me neither however HowCast is a great site which has stacks of How To videos and guides, which also includes heaps of ones you probably WOULD want to know about. What about How to Produce a Podcast, or How to Sign up for a PayPal Account, How to Use Twitter….or How To Email Photos the Proper Way (which might be a good one for students). And heaps more…check out all the categories! I sent out an e-Alert recently which was all about podcasting, and Geoff Young from Wodonga TAFE in Victoria alerted me to one of his recent blog postings (Podcasting- Making yourself heard outside of the classroom) where he tells the story of how a local TAFE lecturer got started with podcasting. You may have heard the word ‘Instructional Design’ and wondered what it was all about. “Broadly, instructional design is about designing learning experiences…” says Melanie Worrell from SA who is facilitating a Community of Practice on the Australian Flexible Learning website called ‘Know it, try it, do it? – Instructional design and the online environment’. Instructional design used to be about having appropriate white-space and pictures in printed learning guides, however the concepts and techniques have sky-rocketed now that we have e-learning. I love some of the quotes from Ten Provocative Quotes, Questions, and Comments About E-learning and Instructional Design such as “Give a person a six hundred page book on how to get out of a room with no doors and you’ll put them to sleep. Put a person in a room with no doors, have the walls gradually close in on them, give them the same book, and you have an engaging learning experience.” LOL Too true! 🙂 And in this interview The Future Of Learning Design, a good point is made well…”we sometimes get seduced by the technology and forget the underlying learning need and, even more importantly, the underlying business need.” I agree! Do you? Click the Comment link below and let us know what you think. 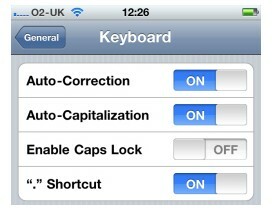 And finally…perhaps you’ve got an iPhone but do you know how to quickly change to capitals? Or add a comma in half the time? Then check out 10 Useful iPhone Keyboard Shortcuts, Tips and Tricks for all the little tricks I bet you didn’t know about. I learnt something new! 🙂 Or maybe you received an iPad for Father’s Day…consider Turning Your iPad into a Whiteboard. Thanks Marlene, lots of useful information as usual. Loved the 10 tips for Iphones. Very handy. Thanks. Love your newsletters, really look forward to reading them.